If you want to make stronger connections with other businesses, your goal should be to get in touch with the real decision-makers at companies. Luckily, you can do that with this list. 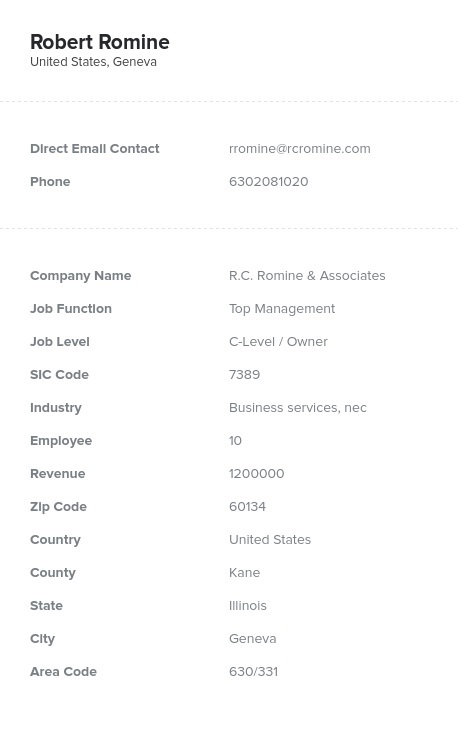 Find CEOs, CFOs, and many other C-level employees in one directory! Wouldn't it be great if you could cut through the red tape and speak to people who would be most likely to make a decision regarding your product? With this pre-built list from Bookyourdata.com, you can. These are some of the most highly sought-after contacts out there: an extensive list of C-level executives in one reliable, downloadable database. It's a database that you can pull, integrate into your CRM, and start using today. This is one of our customers' favorite ready-made data products, with all of the information you need to get started, from C-level executives' emails to phone numbers to addresses to company hierarchy information. When people say "C-level," they often mean the key decision-makers at a company with the title "chief." A chief executive officer, or CEO, for example, is the head of a company. Other chiefs often either sit on the board of a company or have major influence over company functions. Some of the important people on this email list include CEOs, chief financial officers (CFOs), and chief operations officers (COOs). Chief marketing officers (CMOs) and chief information officers (CIOs) are also important, especially in select industries. (Please note that if you are targeting one type of C-level executive, such as CEOs, you can find a separate list for them under the job title section.) Pull this great list of the top people in the corporate world today!